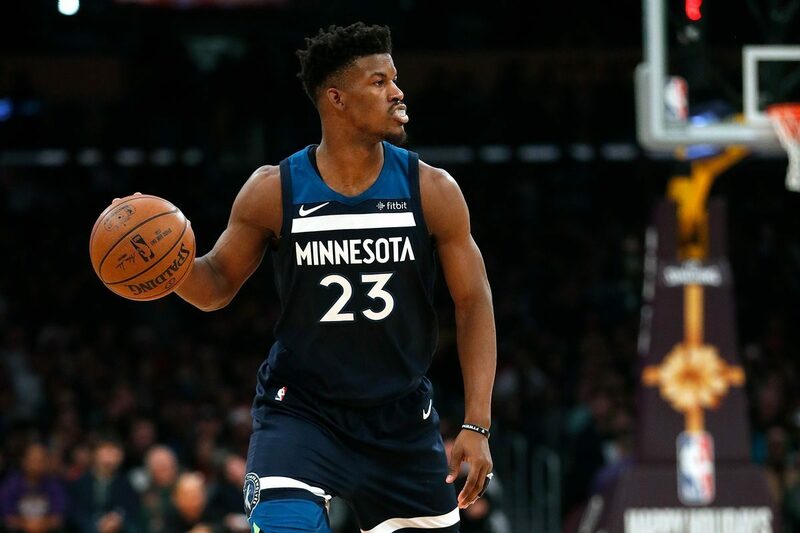 Minnesota Timberwolves star Jimmy Butler hasn’t shied away from stirring up controversy lately. From demanding a trade to ​sitting out games because he hasn’t been traded yet to getting ​booed by his team’s own fans, he’s doing damage to his reputation. And his latest signature moment was something more discreet, yet plainly bizarre. Yikes. ​​While he was probably trying to stop the bleeding on his hand, he should’ve focused more on the game than a small cut. Jimmy Butler is a good basketball player, but he’s not good enough to beat much of anyone while using just one hand. This is just the latest in a long list of questionable actions he’s taken since demanding a trade. And there’s sure to be more. ​​At this point, it feels like Butler doesn’t even care anymore. The Timberwolves really need to work out a trade soon, because his antics are only lowering his trade value while he injects more and more chaos into the Minnesota organization. In the next game, maybe he’ll play a few possessions with both hands in his shorts. Perhaps he’ll try kicking or headbutting the ball into the basket. Anything is possible with this guy.